Network operators, service providers and resellers of connectivity services to business users. Our aBILLity billing platform has been developed to provide you with a total solution for billing and provisioning connectivity services. 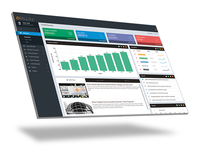 It features a powerful rating engine, advanced revenue assurance functionality, fraud detection tools, WLR3 provisioning and much more. 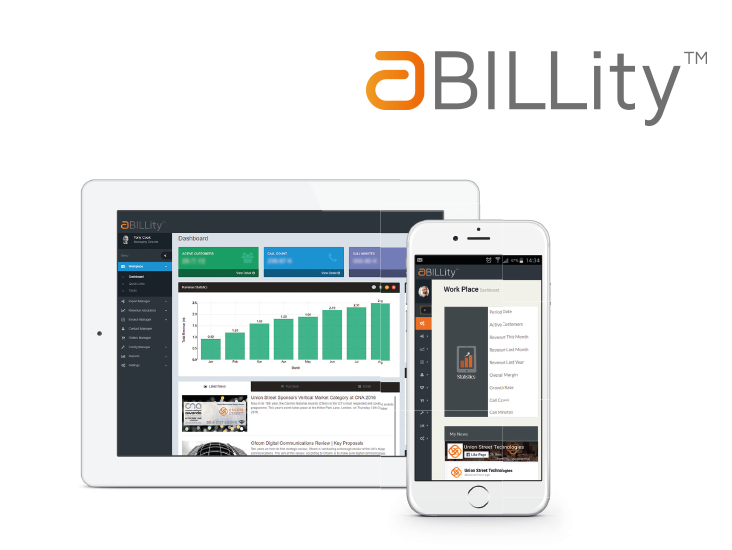 aBILLity is used by over 550 communication providers with a user community of 3,500 comms professionals. They choose aBILLity because it is a scaleable, tried and trusted solution with a proven track record of success. No other system provides such useful insights into the revenue streams of our business. Pros: Having used aBILLity for the past 12 years, I can honestly say that no other system provides such useful insights into the revenue streams of our business. Union Street has really kept ahead of the curve with the continuous development of the aBILLity system. No other billing platform offers such a comprehensive range of features, or is as versatile in its ability to cater for the billing of our wide range of products and services. 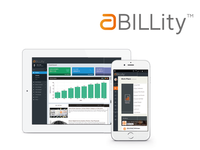 The aBILLity platform has helped us to increase revenues by improving the visibility of profit margins. We've been able to more proactively address low revenue streams and capitalise on opportunities identified. In the future, we're planning a move to aBILLity's hosted platform model which will greatly improve the efficiency of our billing cycle. At Berry Telecom we wouldn't trust any other company with our business billing data and feel very assured that our account is being proactively monitored at all times. We look forward to seeing how the aBILLity product continues to grow and evolve over the coming years. Overall: The aBILLity platform has helped us to increase revenues by improving the visibility of profit margins. We've been able to more proactively address low revenue streams and capitalise on opportunities identified. Thanks so much for the amazing feedback. We really pride ourselves on our revenue assurance functionality and its versatility, so it's always really encouraging to hear how it's benefiting our partners. Overall I find Abillity to be a great platform that has had clear benefits to our business..
Pros: Previously we were unable to use the fixed reconciliation function, since being provided with the correct training I have found this function really useful and it cuts down on a lot of work that was previously being done manually, It is also clear to see if we are receiving service charges we should not be from suppliers which we can then query. I have also found the sales check function to be a very useful tool it allows us to easily see the costs of calls and we can investigate these accordingly. Overall with the help of some guides I have found the software to be logical and easy to work with..
Cons: One thing I have found that occasionally after completing fixed reconciliation that some charges can appear back in previous months , I think this is just due to either parking the charge or how we have had to allocate it.. Thanks very much for your review. It's always great to hear which features in aBILLity are delivering the most benefit for our partners. We agree training is crucial to getting the best results which is why we have recently added many new training videos to our service portal. These have some brilliant tips for how to leverage maximum value from features such as Fixed Rec and Sales Check. Pros: easy to use and understand. like the different options it offers to myself. fixed reconciliation is easy to understand and find out what is new, or what you need to deal with. Like the different options you can offer customers on billing and separating the bills to landline & mobile. Cons: Sometimes when calling support can take some time to get back to myself. but they do call sometimes 2-3 days later. Overall: Allows Oricom to bill our customers and keep a eye on out suppliers to make sure they are billing us correctly. It's great to hear that the aBILLity's working well and in a way that's flexible for you and your customers' requirements. We've recently introduced a customer experience team in our support department to help ensure a prompt response every time but, if there's ever a delay, please let your account manager know. They might well be able to provide a solution, or can escalate the ticket if required. Excellent billing platform that has made my job so much easier. 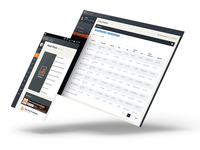 Pros: It is very easy to use, it has every aspect of billing covered and it has so many excellent reporting features. 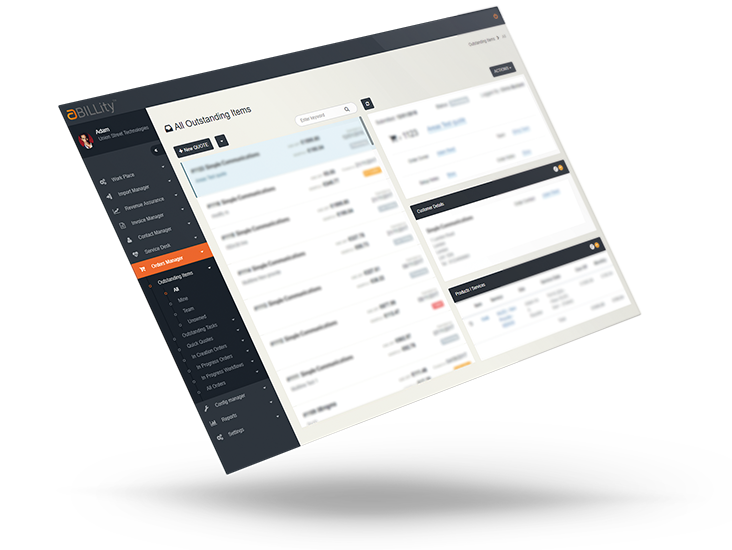 It maximises profitability by making sure you are billing everything that your suppliers are charging you for. Overall: Made my job a lot easier and increased our company's profitability. Gave me full control of the bill run process rather than depending on a bureau service. It's great to here that the system's performing well, helping to ensure profitability and efficiency. Our developers are aware of the glitches you mentioned and should have them ironed out in the next version. Pros: It is functional and does what we need it to. It took some time to tap into the potential but with some time and experience the results are very rewarding. Cons: The product that we use is the original version (visibly) which is now a bit dated. Being unable to customise reports is restrictive and limits our ability to offer bespoke services. Thank you for your feedback and for taking the time to review aBILLity. We're really pleased to hear that you've enjoyed positive results by using the platform. You might be interested to know that we've recently added many new training videos to our service portal which might hold a few tips on how to unlock even greater benefits. As far as aesthetics go. aBILLity's web client features a new user interface that looks amazing. Many of our customers are already using it in earnest to manage their billing so I'd advise having a quick chat with your account manager to see if this might be an option for you.